Less powerful but much cheaper than mainframes and supercomputers, the minicomputer took over. Caltech's Astronomy department bought one of the first VAX computers, which literally exploded after a three-phase power supply was improperly connected. 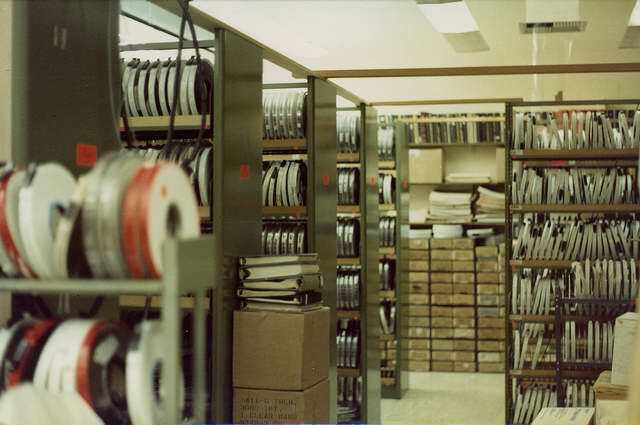 The Caltech Space Radiation Lab, where I worked, opted for a Digital Equipment PDP 11/70, cheaper and actually faster than the VAX, but only a 16-bit processor. Rob Pike convinced us to run Version 6 UNIX. We programmed in C, which was very unusual for scientists who mostly used FORTRAN. I got to know the kernel of V6 like the back of my hand. I once destroyed our file system by experimenting with a faster disk device driver. We also wrote a Monte Carlo ray tracer to simulate the Cerenkov detector in the HEAO-C cosmic ray detector. 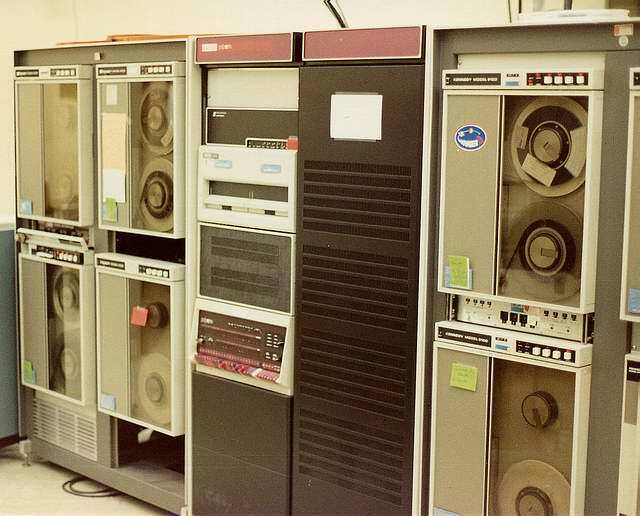 As you saw at the top, the PDP 11 was flanked by 8 tape drives. Here you see why. The PDP 11 crunched telemetry data night and day, mostly cosmic-ray and gamma-ray data. The first time we tried running many tape I/O jobs, one drive spun fast, one turned slowly, and the rest stood still! We quickly discovered that UNIX didn't schedule jobs properly, so we had to write a tape device driver that enforced round-robin scheduling of tape hardware commands.